It was my intention to write a post about my concerns with frith in modern Heathenry. That is still my intention, but I found something I need to share first. I came across a single paragraph in Gronbech’s “The Culture of the Teutons” that framed every concern I currently have, and did it with such succinct, yet poetic, language that I felt that the best thing I could do was just share it and say a few words. I’ll talk about how we fix it later. For now, let us speak on why we need to fix it. We find here a community based upon general unity, mutual self-sacrifice and self-denial, and the social spirit. A society, in which every individual, from birth to death, was bound by consideration for his neighbour. The individuals in this community show in all their doings that they are inspired by one passion: the welfare and honour of their kin; and none of the temptations of the world can move them even for a moment to glance aside. They say themselves, that this passion is love. What more natural then, than that we, who from our own lives know love and its power, should begin with what we have in common with these people we are considering? Given this agreement on the essential point, all that appears strange must surely become simple and comprehensible. I hear a lot of the same points over and over again. Frith was the touchstone of our ancestor’s culture. We need to build frith and community, for those are of the highest importance to our folkway and our ancestors. That our ancestors had holidays just for the laying down of arms, no matter the cause, because of how important frith was to the. More then a being of war, we tell ourselves, the Heathen of ancient times was purported to be a man or woman whose family and community were central to their being; they keystone of our faith. I have looked at the importance we put on such things in actuality…and we should be shamed of ourselves. I’m currently in the editing stage of a post that got a little too long, so I decided to lop off the preface at the top in order to make it more manageable. What follows are two, very simple and very firm stances. Firstly: When I am talking about views expressed by others and I’m giving my response to them, I’m not trying to bash or castigate those that have said whatever I am responding to. If you read my first post on Loki, you may see that some of my statements addressed specific points brought up by Jesse Radcliff, head of Berk County Asatru and Heathenry (BCAH) as well as Chieftain of Der Heidevolkstamm Kindred. This may have been interpreted by some as an attack, since that’s the way of things on the internet more often then not. In short; no, it was not any form of attack. I know Jesse personally, and have for many years. 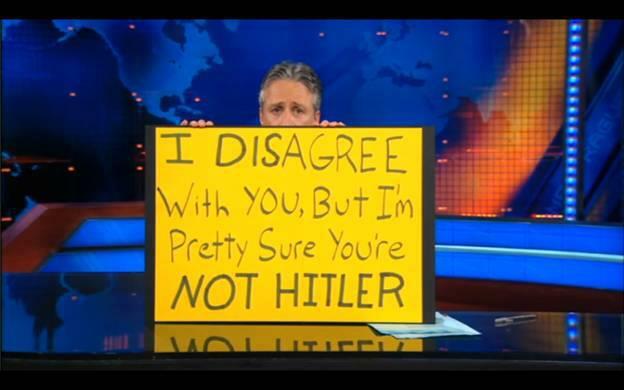 I don’t agree with some of his opinions, but that does not mean I must stand against the man who holds them. He and his wife were the first Heathens I found myself comfortable enough to speak to when I began to investigate Asatru. That was about five years ago, and they did a damned good job steering me in the correct direction. I have been to their home, enjoyed their hospitality on many occasions, and have considered them friends for sometime. They have been there multiple times for me, and have also celebrated the milestones in my life. While Jesse and I have differences, this is not going to prevent me from respecting him or treating him with the courtesy and firth he deserves. I have faith that he would express a similar opinion. If I respond to a statement someone has made? I’m addressing the statement unless I specify otherwise. Attacking the person would be ad hominem which, besides being tacky, just dilutes my own argument. Secondly: I’m talking about religion on the internet, so maybe I should just establish a “troll policy” now, and beat the rush. If you insult me or use a logical fallacy in your statement, I will point it out and tell you to make revise your statement. If and when you do, I will respond with diplomacy and respect. I will, for the most part, refuse to address arguments wrought will fallacies or insults because it’s a waste of time and gets us nowhere. If you both insult me and use a logical fallacy in your argument, I’m going to ignore it completely or delete it as the situation calls for. Yesterday, at about 8:00pm Eastern Standard Time, I posted some of my thoughts concerning the worship of Loki in modern Asatru and Heathenry. I meticulously edited it, as I wanted the material to be strong. I was very proud of the end result, but I didn’t expected anything to come of it. I figured it would end up being read by a person or two, and that would be the end of it. I’m…a bit speechless right now. It has to be said that I initially created this blog for the purpose of having a soap box to shout on top of. I’ve wanted to be a writer for a long time, but acting on that desire is still a fairly new activity. On one of my first tires? I got over three dozen people looking at my work….and I posted it in two places. I’ll have part two soon. I’d be writing it now, but I desperately need to sleep. I feel moved to make my own commentary on this supposed issue of Loki worship, mostly because I seem to have been cause in the middle of an argument or two. I’ve seen people in favor of the god, people not in favor of him and able to be tactful about it, and then a few others who behaved like children desperate for a school yard outcast to gang up on. I’m not linking the last group, because they aren’t worth the time. Needless to say, everyone has something to say about the issue. In all the discussions that I have witnessed, however, I haven’t seen some of the counter arguments that I feel most effectively answer the issues being presented. Perhaps they aren’t as obvious as I presume, so I’ve decided it’s time to speak my mind. I presume no authority over much of anything, and I’m not going to make a big mess on credentials. If you agree, great. If you disagree, keep it civil and constructive…or be prepared to be ignored so hard, your future children will get picked last in gym. Lastly, I am not condemning anyone who chooses to abstain from recognition of Loki; I simply don’t understand the muck and the mire one has to go through to acknowledge him in any sort of positive way. I’m not a Lokean; I make no claims of being one. This rebuttal was constructed out of the need to expressed some points that I feel have been looked over, as well as out of respect for the flame-tongued god of the Aesir. I have had more the one prayer answered by him, even though I never directly asked him, and I am thankful beyond measure. The reciprocity of gifts is one of the most important traditions we have, right? Loki is the great betrayer of the Aesir, and showing devotion towards him is acting with contempt for the Gods as a whole. His actions can only be viewed as dishonest and dishonorable, and anyone who venerates him or his acts champions vices as virtues. This one seems to be considered the silver bullet in the gun of arguments against Loki, so let’s just tackle it right away. I’m going to pass on the standard counter, about Loki being falsely made out to be Viking Satan by Christian monks. I think it’s a valid opinion, but that is well trod ground and I don’t think I can add anything to. Further, it’s also open to debate…and I feel there is a larger, more obvious counter question that is raised here. If you align yourself with the statement in bold, and you also wear a depiction of Mjolnir, you’re being hypocritical. I can say the same for artistic depictions of Sleipnir, Sif’s hair, Gungnir, Frey on either a boar or a ship, or Asgard itself. All of these things were made or improved by Loki’s actions. Slepnir and the walls of Asgard were an outright sacrifice on his part. Further, they were not won due to Loki repaying the gods for his folly; they were won when Loki was given the task to trick the enemies of Asgard. To cast out Loki in his entirety is to also cast out many of the symbols of our faith, and to disregard the pieces that are inconvenient is intellectually dishonest. To put it another way: If you get mad when Christians quote Leviticus and condemn homosexuality without recognizing the rest of the book? Keeping Mjolnir while denouncing Loki is, broadly speaking, a similar action. This argument does not merely extend to the trinkets that Loki acquires, but also to the social dynamics displayed by the other gods. Their actions in the lore portray that whatever Loki may do, they have accepted him amongst their ranks. Snorri Sturluson famously listed him as being “numbered amongst the Aesir”. We also have the Voluspa, which details all of Loki’s deeds before he has actually done them. 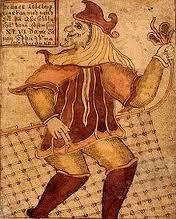 If Odin had heard of Loki’s treachery via prophecy, then it would follow that he had every reason to banish him from the halls of the Aesir. Yet, he does not. Everyone has so many reasons to cite their prohibition of Loki from their feasts, blots, and fainings. I’m curious if these people have weighed their reasons against the choices and oaths of the Allfather. The choice to include him amongst his own, as his sworn brother. If they have, I’m curious if such a person would also discard all of the depictions of Loki’s handiwork, in order to back their rhetoric with action. Loki’s followers are prone to bringing chaos into Heathen circles. Just the amount of discord caused by the debate over his worship is proof of how dangerous the practice is. I’ve not seen enough of Heathenry to call myself an expert on common social dynamics. From what I’ve seen, however, we certainly don’t need any help from Loki or his most devout followers to create contention or disagreements. I would like you, the reader, to think back to any petty arguments you yourself may have seen. Was everything proceeding with glorious firth, until some vile, Loki venerating villain swung down from the rafters? Did just the presence of a this ne’er-do-well create such strife that an otherwise pleasant discussion turned was ruined by the singularity of chaos? Did the milk in your fridge curdle and go sour as well? I would suspect it did not go like that. More often then not, Heathen arguments and dissension start with the same ingredients list most interpersonal conflicts are made up of; regular people with passionate opinions, a little too much arrogance or pride, and a split second where sympathetic wisdom is discarded in favor for acidic wit. What I have seen and experienced is that those who are Loki sworn are seriously black sheep…but they are also talented, intelligent and clever friends….and are no more apt to start unwarranted fights then anyone else. As a final point, Lokean Asatruar/Heathens cannot and should not be blamed for the discord caused by the discussion…or at least, no more then any other party in the discussion. To blame them exclusively is to invite an opportunity to be blamed for the same thing; after all, would there be an argument if someone wasn’t pushing against them? What follows is finger pointing, blame games, and a complete disintigration of frith. Anyone who shows veneration to Loki/Jotuns/Rokkr does not understand what Heathenry is about. I’d like you, the reader, to consider a hypothetical situation. Imagine that you or I went to a large, Heathen event. East Coast Thing, perhaps. You or I could randomly approach any number of people. These people, selected entirely at random, could be asked what they think Heathery is about. If you or I were to record their answers, what would the end result be? For my part, I don’t think we’d see a consistent vision over what Heathenry and Asatru is or is not. We are not a revealed religion. We are not an organized religion. We have no Bible, Koran, or Torah. There is no supreme authority over our faith.. We came from no single region. There is no Asapope, and I think we are the stronger for it. Many of our traditions were passed as family traditions, with no more or less fanfare then an heirloom. We can’t even agree on what the name of our religion is. I recognize there are somethings that are and are not Heathen. The Hawaiian islands, for example, don’t have much in common with the religious practices that meandered throughout present day Iceland, Norway, Sweden, the British Isles, France, and Germany. Loki, Jotuns, and the Rokkr have a much greater connection and they clearly have a place within the faith somewhere. How do we determine that place? When I pick up next time, we’re going to take a look at the big R-word, and see what it could mean. The lady-pet, SH, and I were moving on April 7th. We were moving into an apartment attached to my parent’s place, both to get away from a slum lord and to get closer to stable family. Here lady-pet would finish college and start her career, SH would be in an area where I knew more parents, and I would be in a more financially stable situation…which would make it easier to find my voice as a writer. It was a pretty solid, sensible plan which is probably why it went up in smoke. Don’t get me wrong; the plan that replaced it is pretty awesome. I like this new place. Still, it requires some adjustment. April 8th was going to be when I made a strong push to get my writing started. Articles about current events in pop culture. Short stories. Observational humor. Whatever. I just wanted to be in a new home with a new perspective to really understand what was going on. To have less mundane worries so I could focus on things without excess stress or angst. Maybe it’s for the best that this plan is gone though, because when it comes to writing? It seems the longer I have to hem and haw over the first couple of stages, the less likely I am to make it to the final project. While I really appreciate the early, constructive criticism of a close friend? It was also maddening, because it would have been really to just give up and storm off. Gods know I’m no stranger to that resolution method. I also hate that resolution method…so I’ve opted to make lemonade out of lemon. I’ve tried to post this about three times. I End up trying to write it over and over again, and I end up starting from scratch due to satisfaction. I end up stopping because I analyze it to damn much, and pick everything apart. So I’m just going to come out with, and all of these explanations I feel I need to make for some reason will come out in due time. 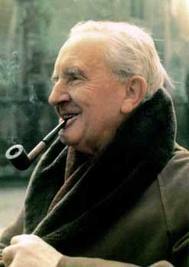 That’s Mr. Tolkein if ya nasty. I’m going to be a writer. There is no try here; this will happen. Now, paid writer is preferable of course…but it’s not I can force anyone to pay me for writing. That’s not writing; that’s mugging people and then providing a brochure. I don’t know what shape this will take. I don’t know the method. I don’t really care. Time to get all John Ronald Reoulish up in this piece.